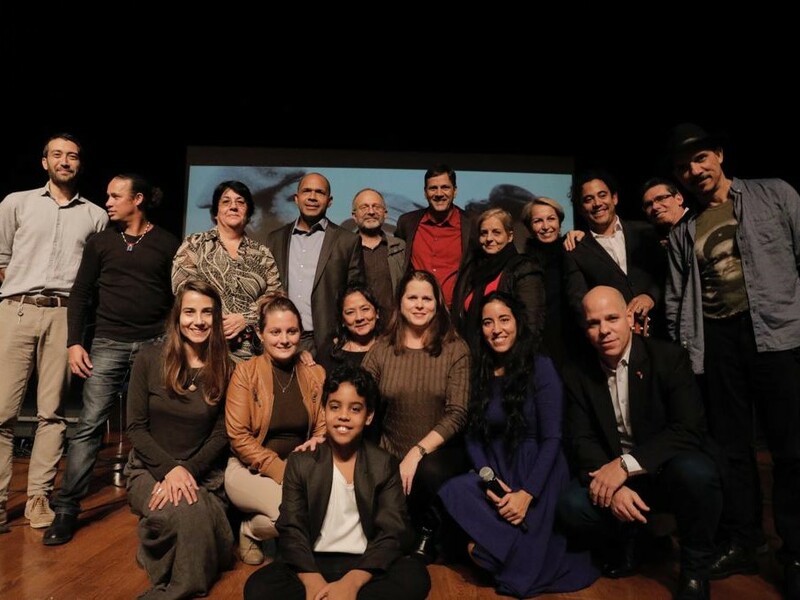 Together with the José Martí Cuba Friendship Association, a member of ICAP, the Communist Party of Turkey (TKP) organized a solidarity week with socialist Cuba and hosted a delegation of five, including representatives of the Communist Party of Cuba (PCC), the Cuban Parliament and ICAP. Ambassador of the Republic of Cuba to Ankara also joined the delegation. Responding to the call of the TKP, thousands of friends of Cuba gathered in a serie of events organized from the 25th of November to the 1st of December in three metropolitan cities of Turkey, İstanbul, Ankara and İzmir. Under the theme "Great Humanity is 60 years old: Cubans Talk About Revolution" the 60th anniversary of the Cuban Revolution was celebrated. On the second anniversary of his loss, the Revolution's heroic leader Fidel Castro was commemorated with chants saying "Yo soy Fidel!" Resisting workers, unionists, women, university students, intellectuals, among many others, came together in the solidarity events. Juan Carlos Marsán Aguilera, Deputy Head of the Department of International Relations of the Central Committee of the PCC, as the head of the Cuban delegation, noted the persistence and dedication of Cuban generations for keeping the revolution alive despite many challenges encountered in the past decades, despite the unjust blockade of US and different faces of imperialist aggression. Secretary General of the TKP, Kemal Okuyan, underscored the significance of internationalist solidarity with Cuba, not only by means of publicizing it but also by strengthening the working class struggle in each and every country. Okuyan asserted the TKP's will to struggle against those who are trying to bring Cuba to its knees. He pointed the responsibility of revolutionaries and communists to emancipate humanity from capitalism and imperialism in order not to leave Cuba alone in the world where billions of people live. An exhibition of Cuban children's drawings depicting Fidel was held, which was then presented as a gift to the TKP on the final day, symbolizing the strong bonds between the communists of two countries, that have been bilaterally developed throughout the years. The Communist Party of Turkey and José Martí Cuban Friendship Association are grateful to the Communist Party of Cuba, the Cuban Parliament, Cuban Embassy in Ankara and ICAP for their comradely presence.